Released on October 19, 2018, Halloween (2018) serves as the sequel to the original film by John Carpenter. 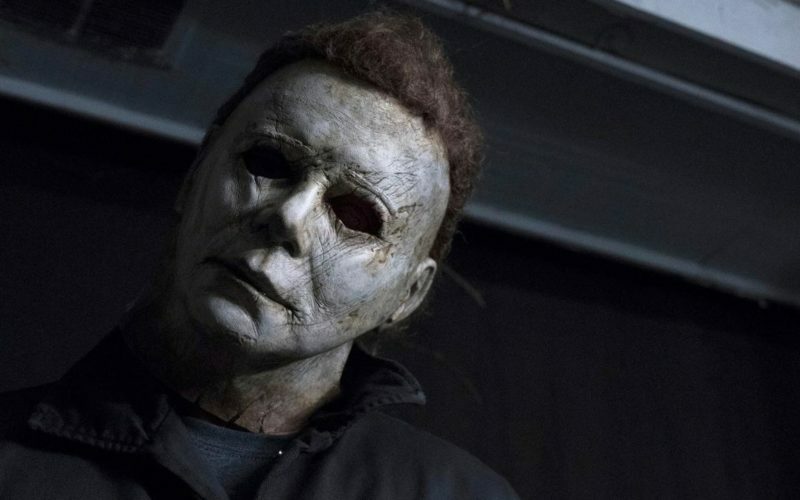 Since released, Halloween (2018) has produced a global box office of ~128.5 million dollars, starting with a $76 million opening weekend, the second highest in the history of the October. (SPOILERS AHEAD). To rehash the original, in October, 1963, in the quiet town of Haddonfield, Illinois, 6 year old Michael Myers killed his teenage sister, Judith Myers. On Halloween night, 1978, Michael returned to Haddonfield after escaping from a mental asylum, followed by him being responsible for the deaths of multiple teenagers and the attempted homicide of Laurie Strode. 40 years later, during a prison transfer, Myers escaped again, and now he’s back, and Laurie is ready. The Halloween franchise, first introduced in John Carpenter’s acclaimed Halloween (1978) has seen a series of sequels and remakes, most of whom have been negatively received by critics and fans alike. 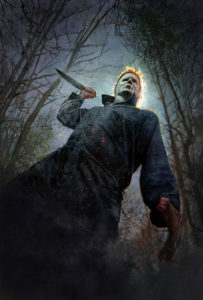 The franchise began to go downhill following Carpenter’s departure from the director’s chair, with the inception of critically panned movies including Halloween II (1981), Halloween III: Season of the Witch (1982), Halloween 4: The Return of Michael Myers (1988), Halloween 5: The Revenge of Michael Myers (1989), Halloween: The Curse of Michael Myers (1995), Halloween H20: 20 Years Later (1998), Halloween Resurrection (2002), Rob Zombie’s Halloween (2007), and finally Zombie’s sequel, Halloween II (2009). 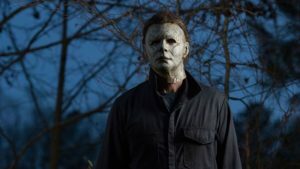 Now, 40 years following the release of the first, director David Gordon Green has taken up the challenge to make a worthy sequel to the original, though it’s worth mentioning that the new 2018 Halloween is not a sequel to the Rob Zombie remakes and completely denies the events that took place in the movies following John Carpenter’s 1978 horror masterpiece. Also, Green has gathered the entire original cast from the original film including Jamie Lee Curtis (Laurie Strode), however obviously excluding any actors who have since passed away, including Donald Pleasence as Dr. Samuel Loomis. In addition to regaining the cast, David Gordon Green, along with Blumhouse Productions, has also convinced the original director-composer, John Carpenter, to score this sequel. In terms of actual quality, I found this sequel subpar as to what my expectations asked for from both Carpenter, even though he is not directing, and Blumhouse Productions. Now I want to make clear that Halloween (2018) is by no means bad, and definitely has some fantastic moments, though it seems to be nothing more than an array of homages to the original and somewhat going into early 2000s teen slasher territory. For instance, characters often make irrational decisions, walking into dark corridors or not understanding that Michael Myers is a real threat and not a laughing matter.My biggest problem with this movie is the writing, for which I blame actor turned writer Danny McBride. McBride, known for his acting career in films such as Pineapple Express (2008) and This Is The End (2013) definetly has acting talents, but not ones in the field of writing. I blame and associate the weird and off addition of comedy in the film to be McBride’s fault and as a result, the film gets progressively worse. Also, the editing is very odd, with it feeling almost like a trailer, each shot jumping to another too quickly. Now I don’t mean the editing is bad, just not right for this kind of film. In terms of positives, there are quite a few I can name, because as I said, this film is by no means bad, just not good. First off, the acting and casting is great. Jamie Lee Curtis gives one of her best performances, and probably the most convincing since the original Halloween (1978). Also, Andi Matichak, who portrays Laurie Strode’s granddaughter, Allyson, is very excellent, with her almost channeling a similar vibe to Laurie in the original movie. Judy Greer (Archer, Ant-Man) gives a fine performance, though I am not quite sure if she was properly cast, but she did okay. Jefferson Hall (Taboo, Vikings, Game of Thrones), another new character in the Halloween mythos, is also good, not being bad, but also not phonomenal. Now aside from acting, director David Gordon Green does pretty good with the subpar script he is supplied with by Danny McBride. Green manages to, at times, get the feel of the original film, though also manages to get the feel of a teen slasher at others. 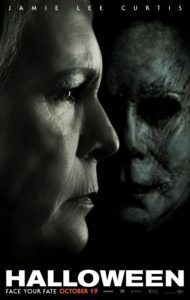 There is no Grace Potatoes on account of no one having seen Halloween (2018), along with it being too low a review to receive a specific percentage. After all these opinions and observations into Halloween (2018), we now reach that point where we give a percentile score. Halloween (2018) scores at a “good (tozt),” specifically an 80% based on 3 reviews (the other 2 of whom were extremely positive). Great – (top chef)= 85-100% A truly great movie, one of the best you’ll see all year. Good (tozt) = 60-85% – it has good points but nothing especially great overall and definitely not great on repeat viewings. Bad (airplane food)= 20-60% – if you’re desperate enough you’ll watch it.